Открытки картинки поздравления зима картинки. At some point everyone becomes enamored with surface detailing and wrinkles. In this DVD Cesar Dacol Jr. unlocks the secrets that he uses in the feature film industry. He will navigate you through the processes of internal and external forces that cause wrinkles. You will never look at a wrinkle the same way as you explore compression zones, anchor points, tissue composition and external elements in your design. Wrinkles can be complex and overwhelming, but Cesar will teach you some basic tricks that simplify the thought process behind the rhythmic patterns. You will discover the why, where and how to apply wrinkles convincingly to a sculpture. Even though this model was created in a computer using ZBrush, the methods taught are analog-based and can be easily ported into a traditional sculpture or other 3D applications like MudBox. In this course we'll explore some of the new features in ZBrush 4. 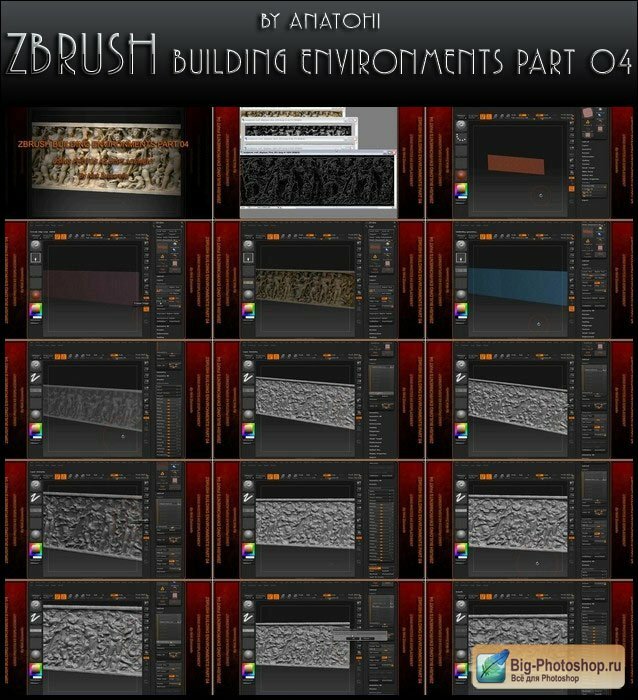 With the release of Zbrush 4 a number of new features have been added that will make sculpting and painting even easier and more fun. In this course we will take a look at some of those new features and how they can be used in your workflow. We'll start by exploring some of the changes to the way we can interact with subtools. We will look at new brush settings like elasticity and topological masking that can help us to shape our models more quickly. We will take a look at the new Shadow Box and Clip Brushes that will really aid us in creating hard surface models. We will also cover Spotlight, a great tool for manipulating and adjusting images and projecting them onto our models. Finally we'll go over some of the new rendering functionality and look at the animation tools and how they can help us better present our models. Once done, you will have a much better idea of some of the new features to look for in Zbrush 4 and how you can start to use those in your own projects.